We speak to online wedding planning app Bridebook.co.uk about there favourite unusual wedding venues! 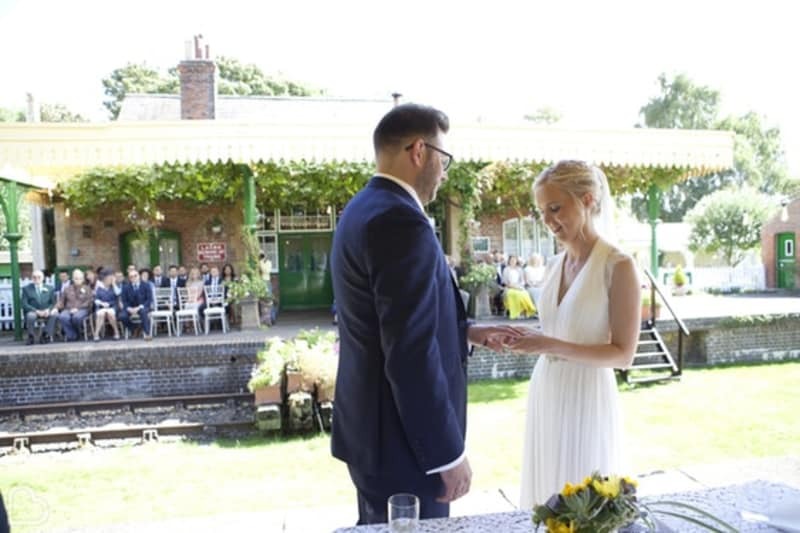 Including a cave, a safari park and a variety of museums – can you even believe you can tie the knot on a railway station?! 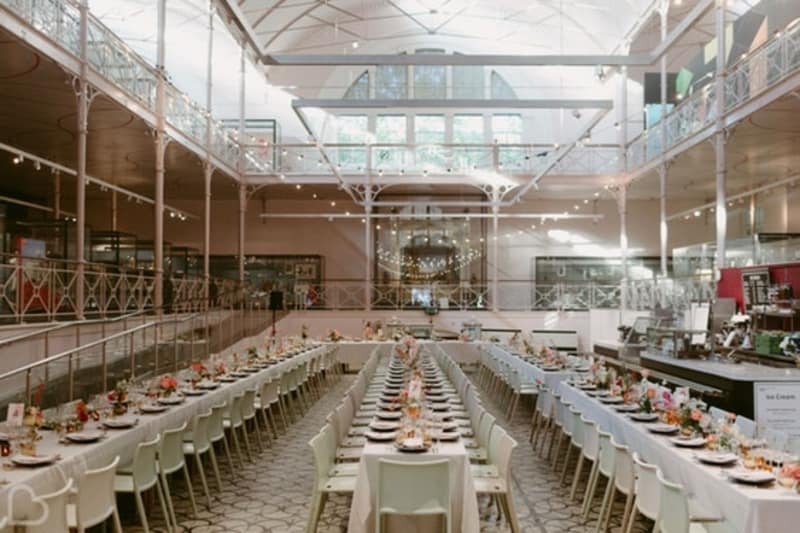 Use Bridebook.co.uk to inspire your wedding Wedding Venue Search – and simply click the ‘Unusual’ filter if you want something a little out of the ordinary. Animal lovers? 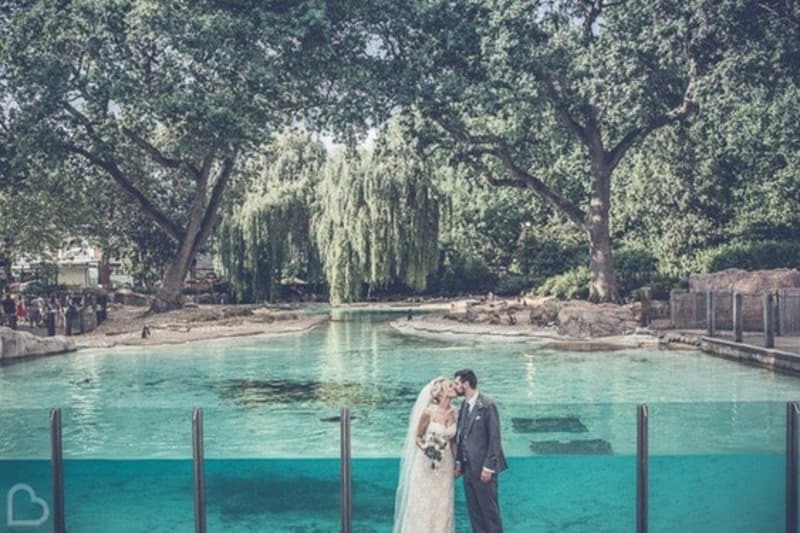 Take an unusual step into married life with a wedding at ZSL London Zoo! Choose to celebrate in the Mappin Pavilion and get a private exhibit in the form of emus and wallabies – plus any profits from your wedding is used to help endangered animals. What’s not to love about this unusual wedding venue? At the site of Shakespeare’s famous theatre, play out your very own Romeo and Juliet story at The Swan‘s Underglobe (right underneath the theatre!). Create a fictional paradise within the walls of this riverside historic gem in the heart of England’s Capital City. Listen up, all you cosmic couples out there! 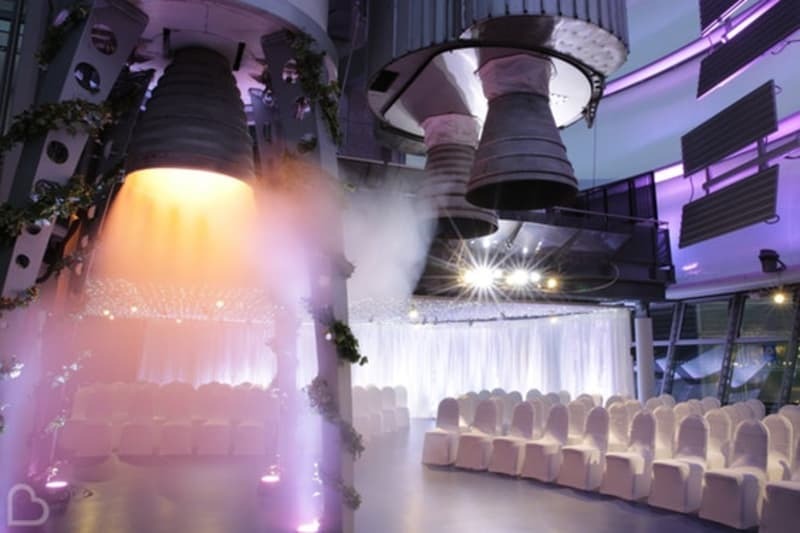 Why not get hitched at the National Space Centre?! Say your vows next to the 42 metre Rocket Tower before being whisked off to the Sir Patrick Moore Planetarium for your first look at the stars as newlyweds. The 25 acre site of Buckinghamshire Railway Centre comes complete with an airy glass-roofed station and original steam locomotives. 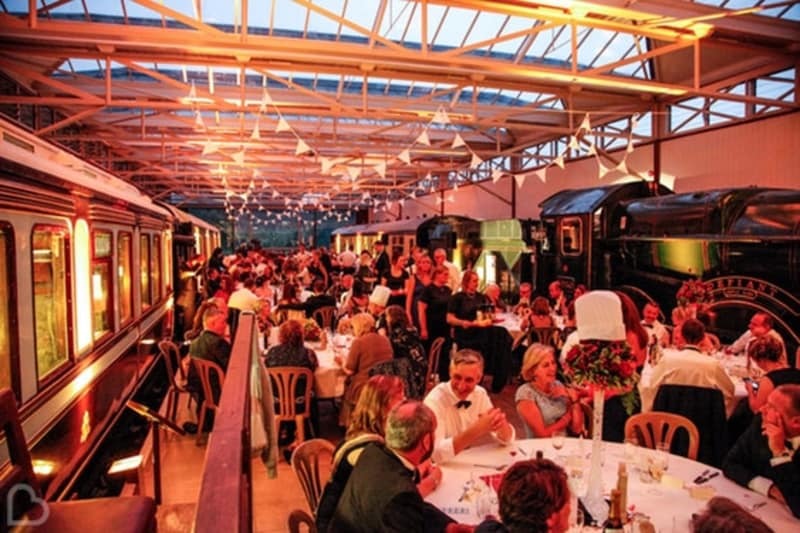 And how about this for an entrance – hop on a steam train and turn up to your own wedding in the most unusual way! Crazy about live music? 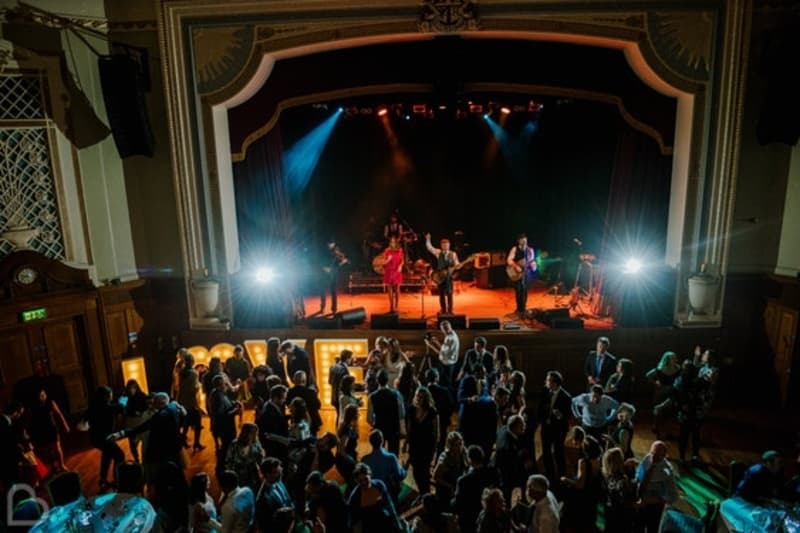 Host your own gig in the form of a wedding at Grade II-listed Islington Assembly Hall, where you can dance the night away in art deco style. Or even step up to the stage yourself, perhaps, at one of London’s best live music venues. Choose from three magical chambers of beautiful rock formations with stunning lighting in which to get wed. 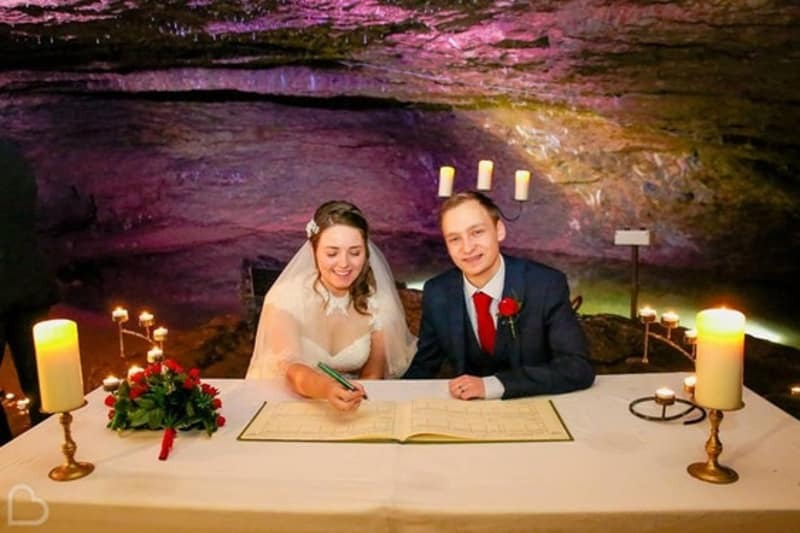 The fun doesn’t stop there at Wookey Hole Caves either – have the mirror maze, penny arcade and crazy golf all to yourselves at this quirky venue. This is definitely a venue with a difference! 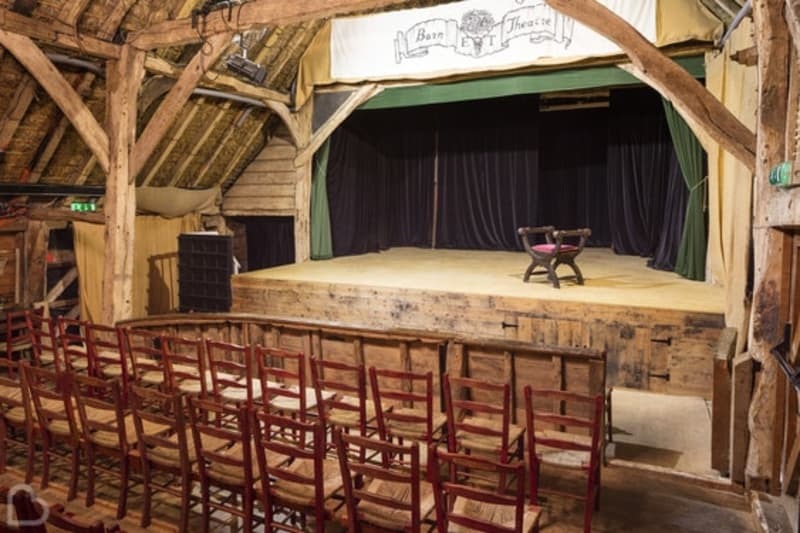 Smallhythe Place is a 17th Century Barn Theatre situated in the tranquil countryside of Kent. Have your audience watch as your ceremony plays out on the stage, before you spill out into the garden for drinks and canapes. Want your wedding day to feel as simple as being a child was? Expect Victorian ironwork ceilings, magnificent marble floors and endless galleries to discover at V&A Museum of Childhood. Let this venue do all the work while you enjoy the stunning surroundings and flawless service here. The Grade I-listed Holburne Museum offers its own glorious gardens, not to mention the extensive collection of 18th Century British portraiture. 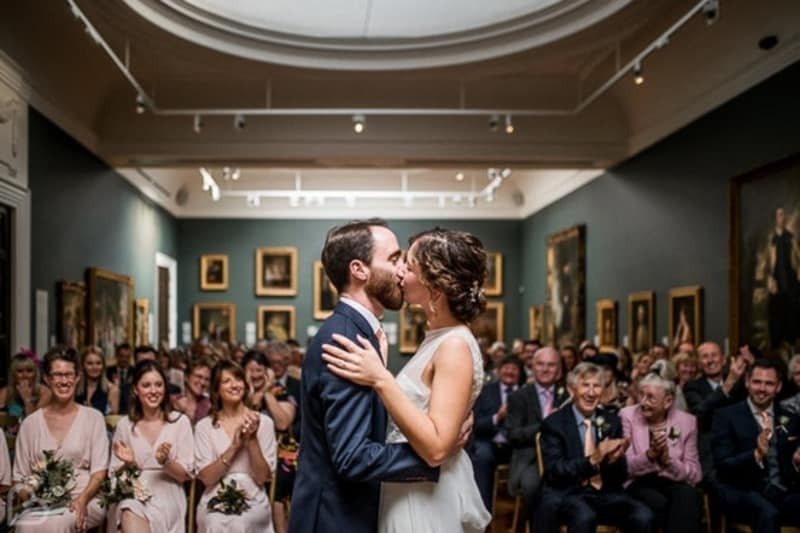 Say your vows in the Brownsword Picture Gallery surrounded by pieces of art steeped in history. Definitely a unique experience! The railway arch venue of Kachette definitely takes unusual to the next level! It used to be the ticket office of Shoreditch Station and has since been transformed into a vintage gem, with exposed brick walls and industrial features. Have a rustic wedding…but with a charming twist! The Medieval Townhouse of Avoncroft Museum of Historic Buildings is the heart of this unique venue. 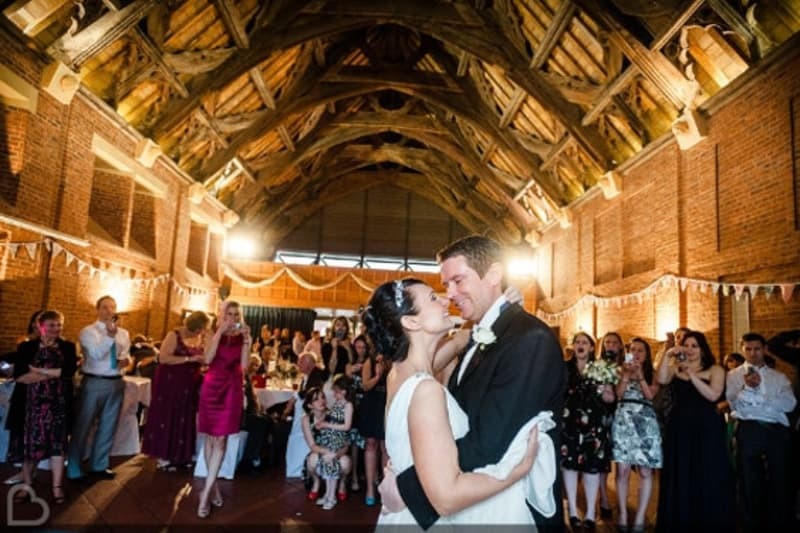 With over 30 more historic buildings on the site, including a windmill, stables and old traditional shops, you can turn your wedding day into one big history lesson. See our favourite historical wedding venues in the UK! Another historical experience can be had in the form of Battle Abbey School, views of which overlook the well-known English battlefield. The wood-panelled Duke’s Library can cater for a cosy wedding celebration, while the stunning Abbot’s Hall will accommodate larger parties. We bet there are awesome photo opportunities here! Hold on to your hats! Calling all Navy enthusiasts to experience Explosion! Museum of Naval Firepower. 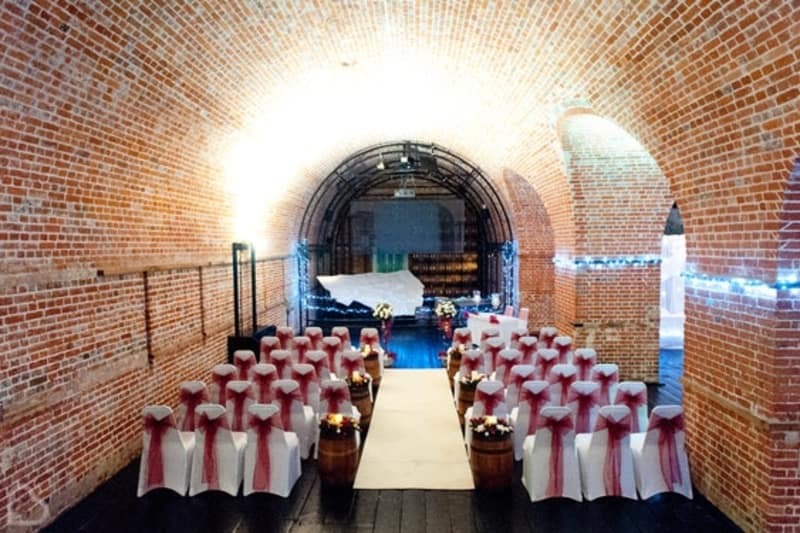 Dating back to 1771, the vaulted ceilings and Georgian wooden floor of this venue make it something truly special – don’t forget a photo on the Naval Dockyard though! 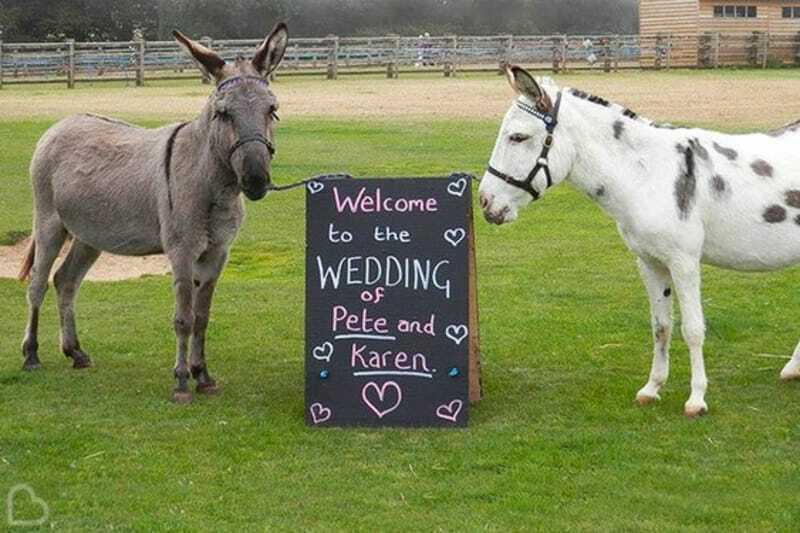 Who could resist a wedding at The Donkey Sanctuary?! Stun your guests when they read your invites by holding your ceremony in the barn, overlooked by a donkey audience! Take memorable photos with your donkey bridesmaids and best men in the ultimate unusual wedding venue in the UK. The newly-refurbished, Grade II-listed building of The Pumping House is one of a kind! It encompasses history with an original chimney and wonderful parquet floors, but also injects a modern style with a cinema and even a gin room! What more could you want, really?! 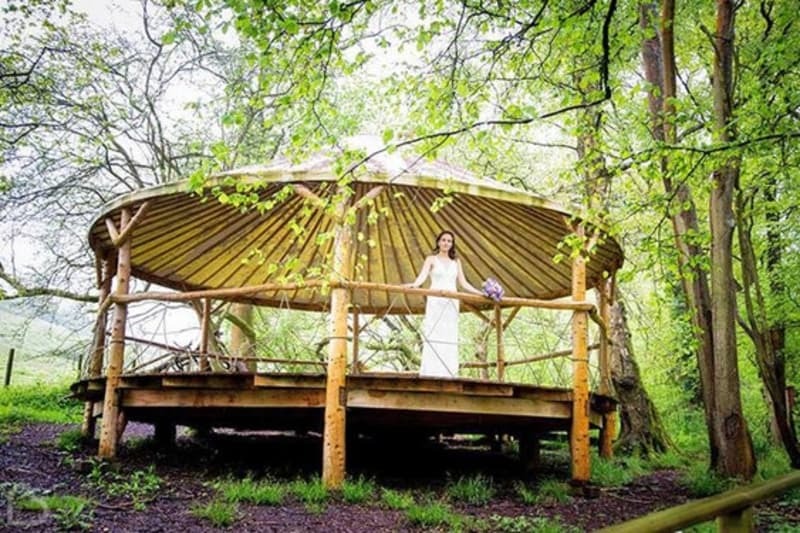 Sustainable venue The Folly Farm Centre is a woodland oasis within the natural beauty of Somerset. The 250 acre nature reserve offers a romantic setting as wildflower meadows and apple trees surround you. 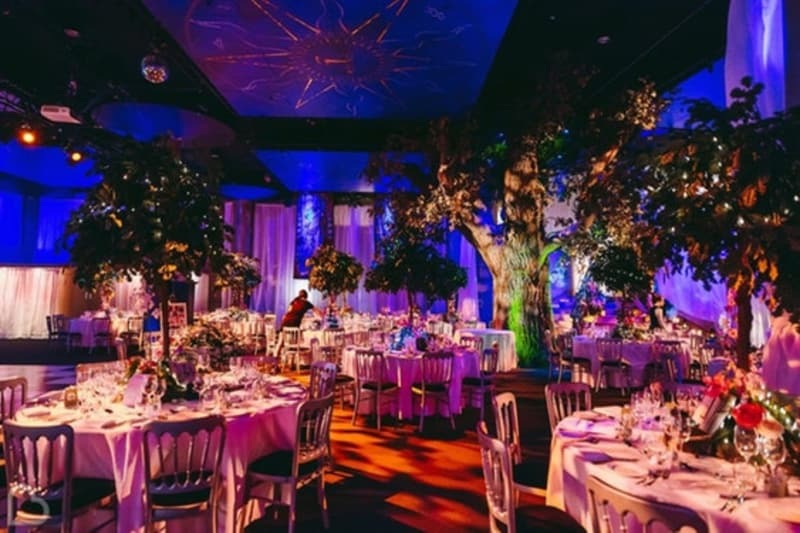 Create your own enchanted forest with this unique venue! 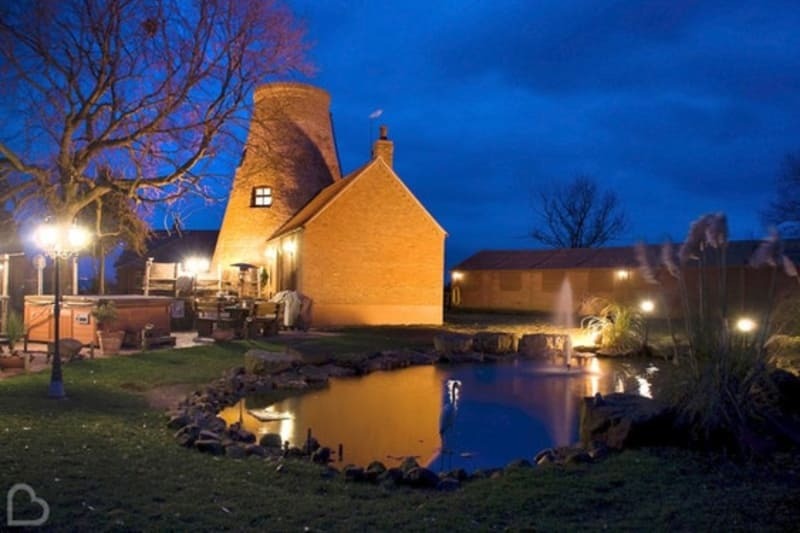 Check out some of the best farm wedding venues in the UK here! 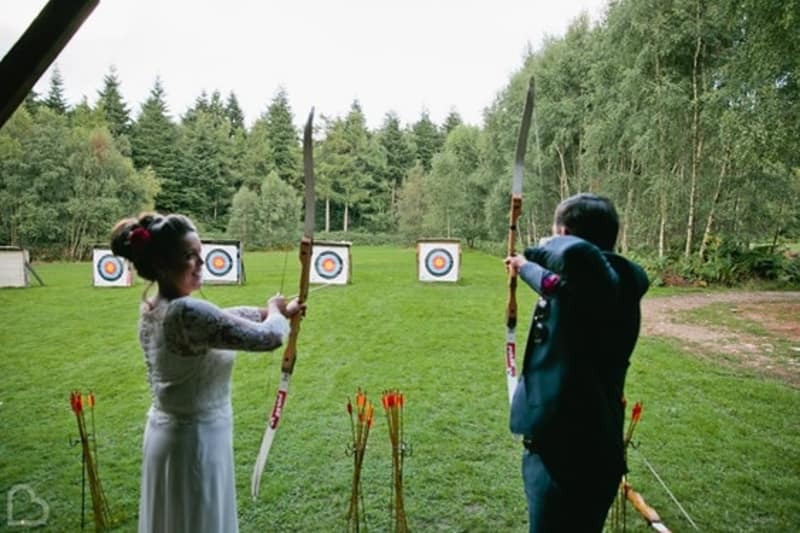 Imagine your mother-in-law trying her hand at spot of archery on your wedding day…now that’s an unusual day! Holmbush Estate is set on 3,000 acres of glorious woodland and just behind a rustic working farm. Why not go the whole hog and camp on site for the weekend?! 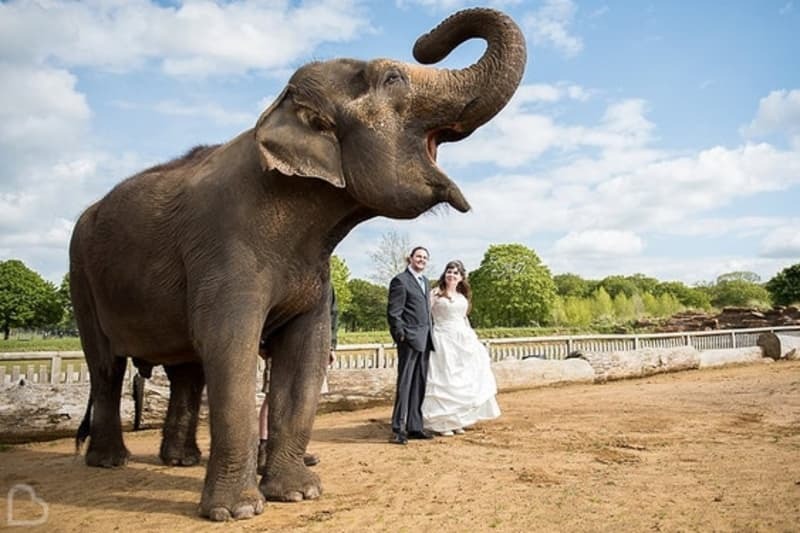 Something a little more fun and playful for a venue idea is Woburn Safari Park, where you can experience an animal encounter on your big day! Have a private bird show, paddle round the lakes on swan boats, or simply sit back and enjoy the panoramic views from Safari Lodge. 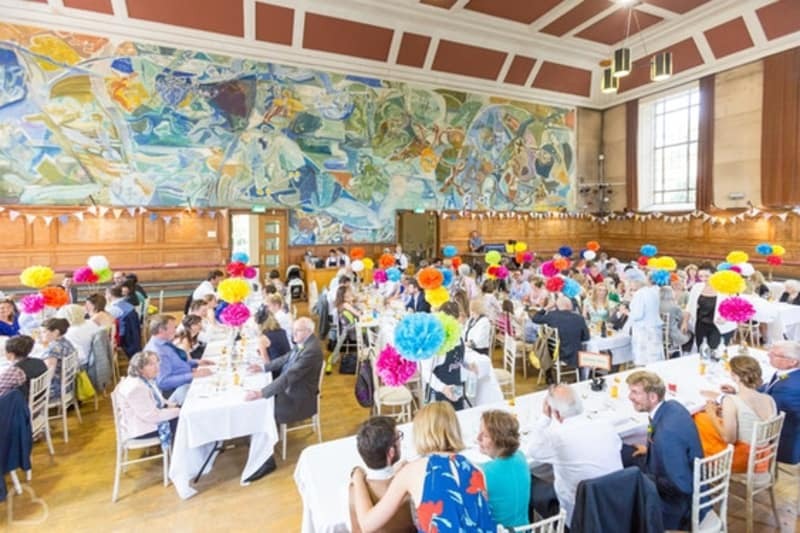 The 1930’s iconic Cecil Sharp House is a venue quite out of the ordinary. 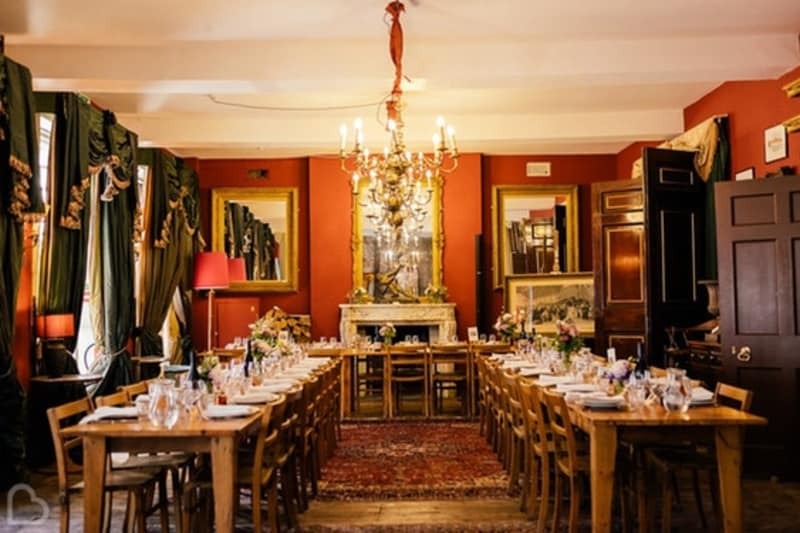 Sitting near Regent’s Park, this Grade II-listed building has the Kennedy room – a characterful wood panelled space with beautiful decor (but it’s also a little quirky!). This newly restored 18th Century corn mill is located in an idyllic rural setting that will make your day truly memorable. 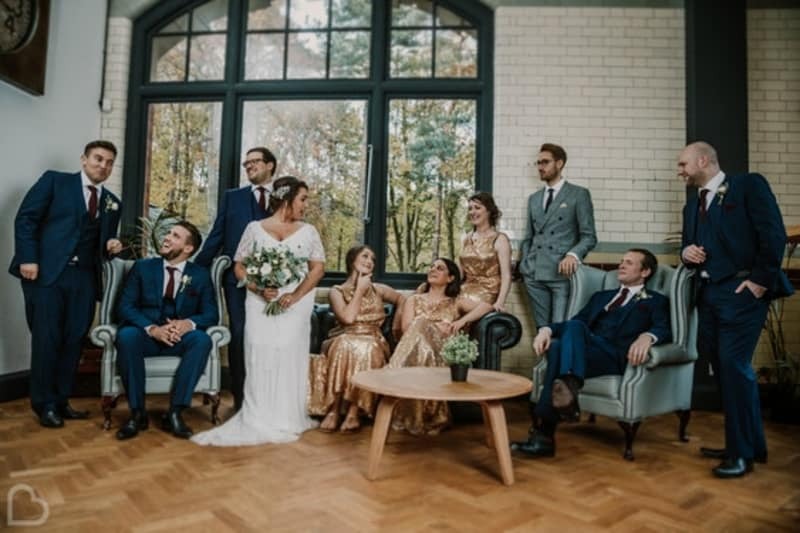 Fishlake Mill combines history, natural beauty and glorious surroundings to make saying your vows become a really unique moment. Picture this: an original Georgian mansion surrounded by modern architecture in the heart of London. Already unusual, right? The interiors of Brunswick House will transport you back in time with grand chandeliers, reclaimed furniture and quirky curiosities. Are you sea fanatics? If so, Hayling Island Sailing Club is definitely the venue for you! This sailing club is located at the mouth of of Chichester Harbour and is absolutely perfect for your nautical wedding theme. 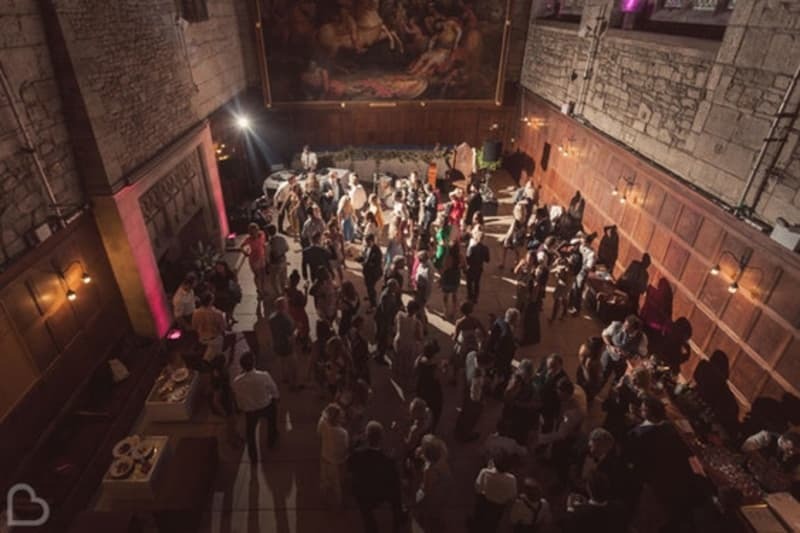 Steeped in history beside Clitheroe Castle, yet with its own flair of style, The Atrium is not your normal kind of venue. 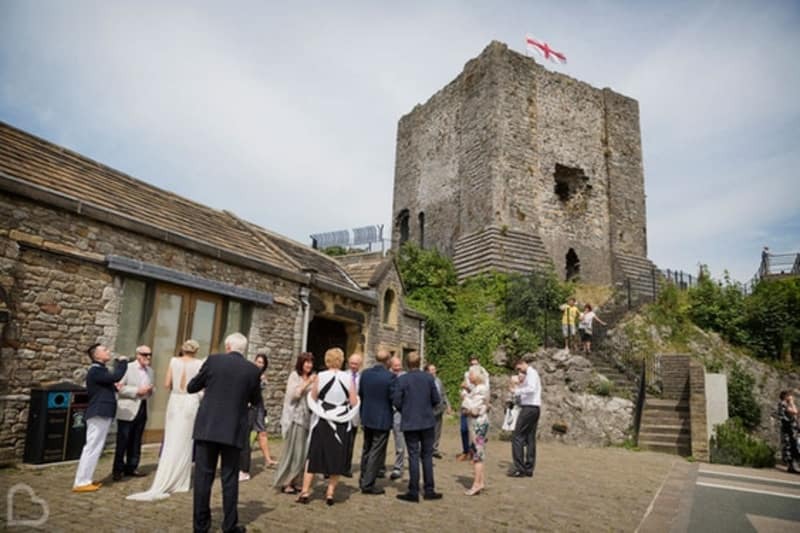 Boasting some of the best countryside views of Lancashire from the top of the castle, at this special venue you can be King & Queen for the day. Get married like royalty in one of the UK’s most fabulous castle wedding venues! 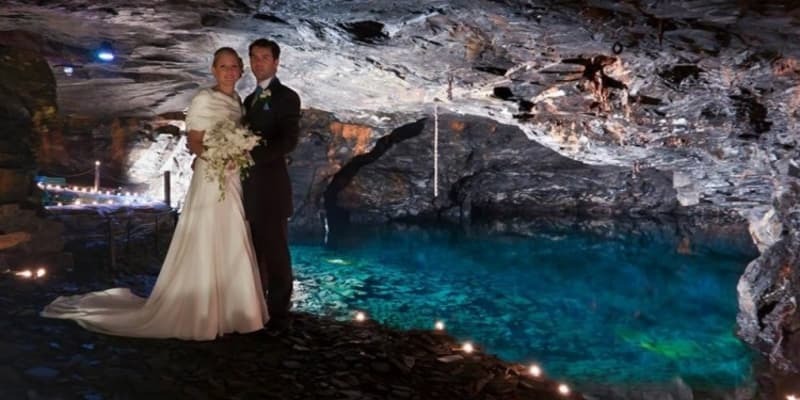 With three different wedding settings and a magical underground lake, Carnglaze Caverns is one the most extraordinary venues we’ve seen. Gorgeously luminated rock can be the unusual backdrop for your very special day. Ever travelled by pier train to a venue before? 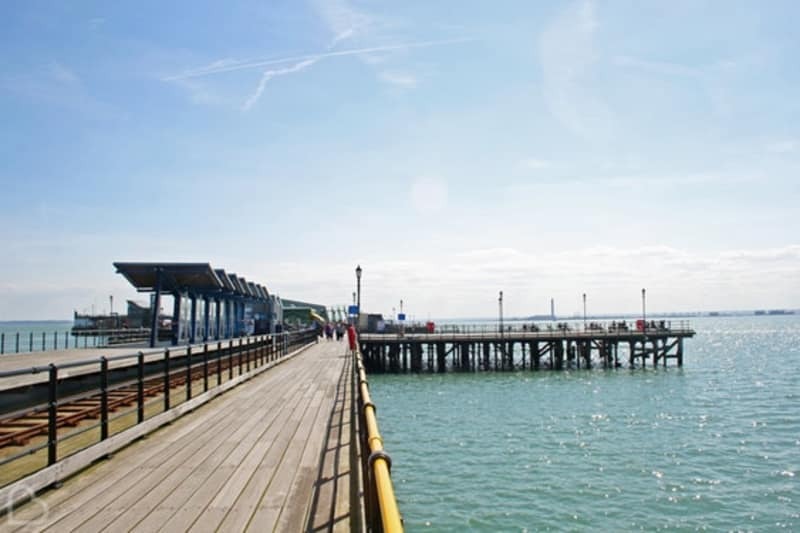 Southend Pier is the place to do it, where The Royal Pavilion plays host to your unforgettable day. Jump on board to enjoy 360-degree sea views and the attractions at the end of the World’s Longest Pleasure Pier. If you like things a little odd, here goes! 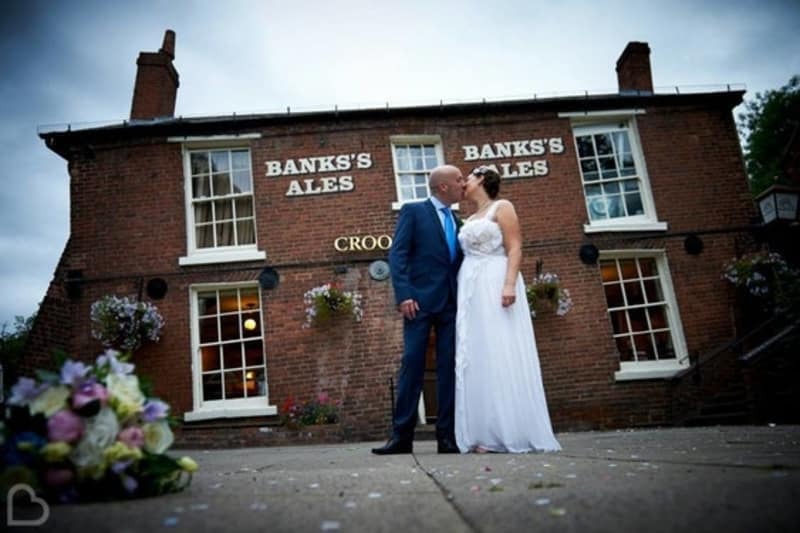 The Crooked House is known for it’s quirky slant and characterful exterior, making the perfect photo backdrop. Your guests definitely won’t expect a wonky pub to be your wedding venue! Once the home of yachting entrepreneur Sir Max Aitken, and now a museum showing a collection of his memorabilia, you can now tie the knot with an intimate celebration at this very house. 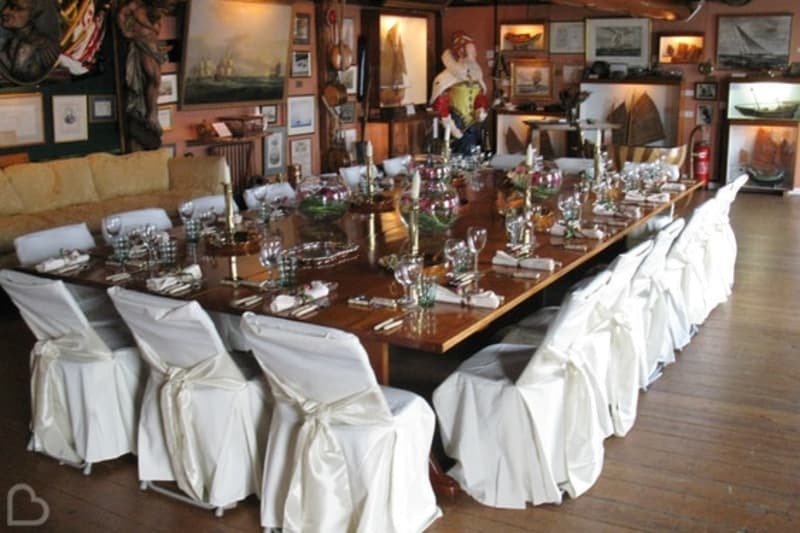 Right on the Isle’s waterfront and with gorgeous dining facilities, Sir Max Aitken Museum is surely a venue that your guests won’t forget in a hurry. Situated in the quaint Robin Hood’s Bay and surrounded by plenty of history, Swell is home to the dramatic auditorium complete with box pews. 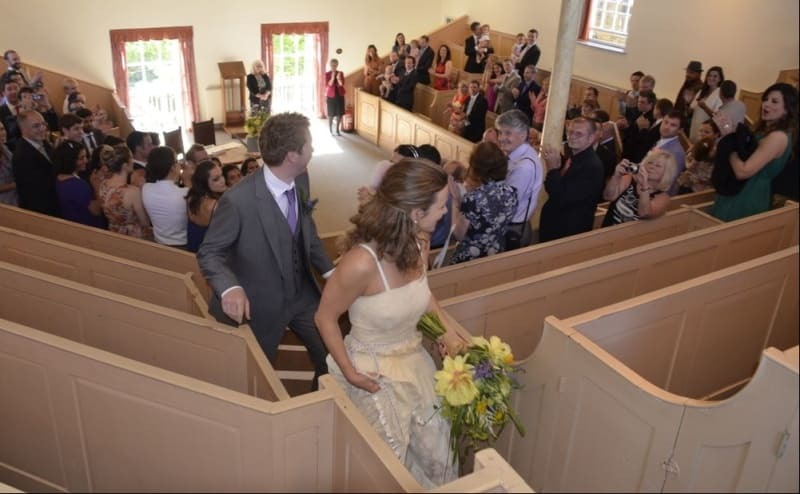 With the Old Chapel close at hand, you can also have a more traditional ceremony if you fancy. We totally think this venue is…well…Swell! 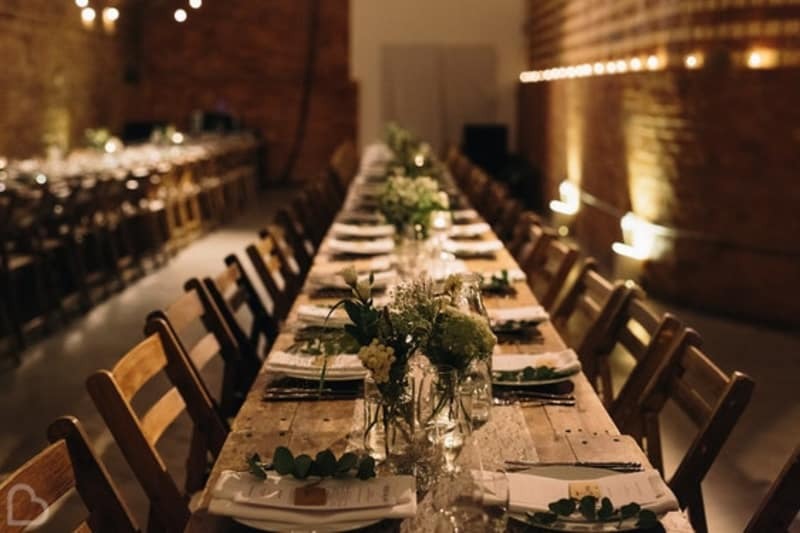 If you’re after more incredible and unbelievable venue ideas to wow your guests, head over to Bridebook.co.uk’s Wedding Venue Search and select the filter ‘Unusual’. You can also take a look at our articles about Unique and Alternative wedding venues too! While you’re there, don’t forget to write down your guestlist, budget and checklist – so everything is all in one place! PrevPreviousExplore, Relax and Unwind at The Linhay B&B on the Devon and Cornwall border.